Boasting a strong sense of community and quiet lifestyle, people are beginning to take notice of Denver’s Wellshire neighborhood. 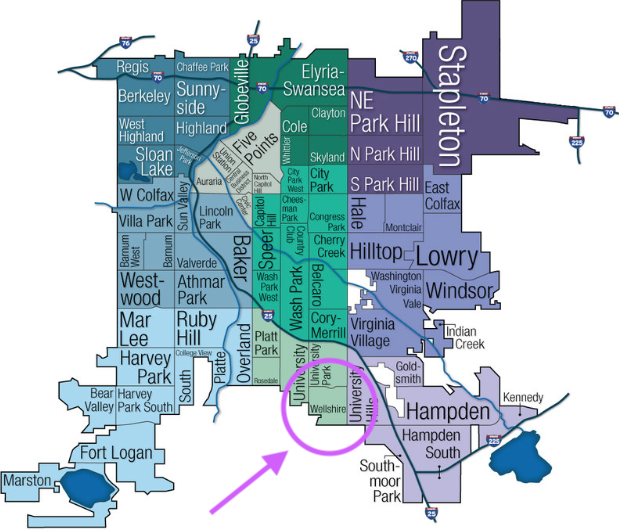 Featuring a mix of city and suburban living, Wellshire is located Southeast of downtown and is bordered on the west by University Boulevard, the east by Colorado Boulevard, the south by Hampden Avenue and the north by Yale Way. House hunters in this area will notice an abundance of classic ranch and raised-ranch homes, sprawling lawns, and winding streets. While the majority of the residences here are post World War II brick and frame ranch homes, particularly on the east side of the Wellshire, would-be buyers can find construction of new stucco, stone, and brick neo-eclectic mansions popping up between some of the older/smaller blocks of ranches. Predominantly single-family, Wellshire Denver homes include few—if any—duplexes, condos, row houses or apartments. Homes for sale in Wellshire are listed with zip codes which include 80210. The area features a variety of local businesses and attractions – from standard fast food joints to the acoustically sophisticated Newman Center for the Performing Arts on University Boulevard. Grocery stores and other retailers are abundant as well. In fact, there’s no everyday need that isn’t available in Wellshire. While it may appear bustling, the neighborhood itself is actually quite peaceful, with access to two of the smaller and most wonderful parks in the city. Observation Park is home to such amenities as tennis courts, a rugby field, baseball field, basketball court, playground and the historic Chamberlin Observatory. A smaller option, the Robert H. McWilliams Park, features a quieter setting with a basketball court, playground, umbrella-shaded tables, and charming wooden bridge. 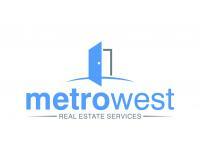 If you’re interested in checking out homes in this exciting area, give Metrowest a shout today – we’d be happy to show you around!